There are times when you’re ready to purchase a brand new moonwalk to help your business, but, at the same time, there are situations in which it’s time for you to sell some of your older moonwalks. Buying moonwalks is extremely easy, but many business owners don’t realize that selling their moonwalks can be much more difficult. Why don’t people automatically jump to purchase one when they see a commercial moonwalk for sale? 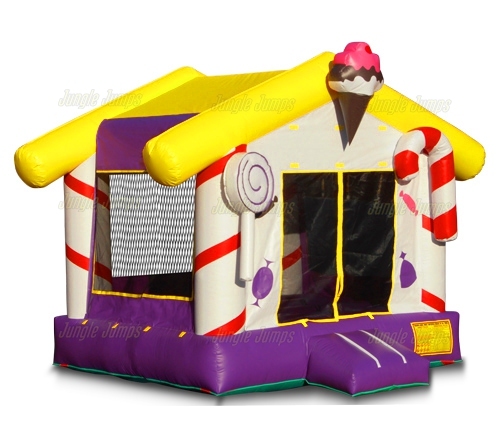 Most bounce house business owners would jump to purchase a bounce house that they see for sale, especially when it’s a good sale. Why, then, do most people tend to avoid purchasing a commercial moonwalk for sale from you? One of the biggest reasons is because they aren’t sure if they are going to be able to trust the unit that they purchase from you. Many people see “used” and believe that it is equivalent to “junk”. It’s important, if you want to sell your unit, to make sure that the interested parties know that the unit is coming from a professional business. When people know that the unit is coming from a professional they are much more likely to believe that the unit is in a better condition, which it likely will be. Another reason why people are tempted to not purchase a used unit is simply because they are not sure what they are going to do with it! The good news is that you can easily demonstrate to people how easy it is to have fun with the unit that you are selling. Before you put the unit up for sale all you need to do is take a video of the unit! But how can you sell the unit with a video? 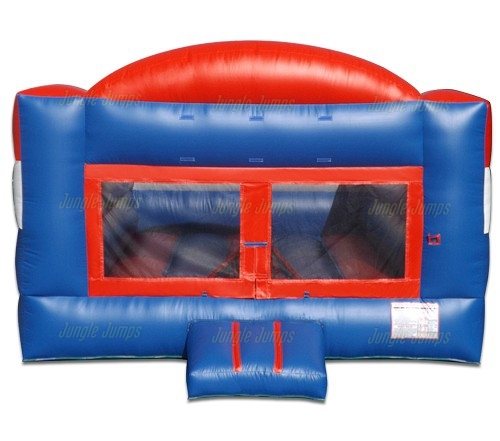 In today’s world almost everything is digital which is definitely a plus when it comes to selling an inflatable unit. The fact that you have the ability to sell something digitally allows you to show your prospective buyers exactly how amazing the unit is. Give them ideas of how they can use the unit – how they can invite friends and family over to jump around on the bounce house. It is very easy to sell your old commercial units, as long as you help people to realize exactly how much fun, and how safe, these units can truly be. A mistake that many new business owners make is thinking that the first thing that parents will think about when they are planning a party is moonwalks. While quite often parents do think about hiring some sort of a bounce house, who is to say they are going to choose your business? 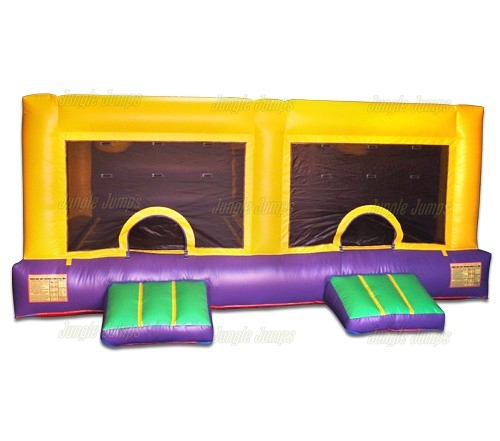 The bounce house business is becoming a very competitive one, and it takes much more than simply having your bounce house at a few parties in order to thoroughly get ahead in this business. Marketing is extremely important if you are focused on making sure that your business will succeed. Of course it’s not possible to start spending tons of money on marketing ideas if you are sure exactly how much you can spend. How are you able to figure out exactly what your marketing budget should be? There are a few different ways that you can set up your marketing budget, starting with saving a certain amount of money. If you do your research beforehand you will know exactly what it costs to advertise in your local newspaper or on your local radio station. Once you know that you can start saving up a specific amount of money every week in order to get to that budget and the more money you accumulate, the more often you will be able to advertise. This, however, is not always easy to do which is why many business owners use the percentage method to figure out what their advertising budget will be. The percentage budget means that any time you book a party with moonwalks you take a percentage of the revenue from that party and put it towards advertising. A standard amount is about 5 to 10%, but you can make the amount be anything you want. This way you know that you will have a specific amount of money set aside for every party with moonwalks you book for your marketing purposes. Finally, never underestimate the tool of bartering. Bartering is a great way to get you free advertising! 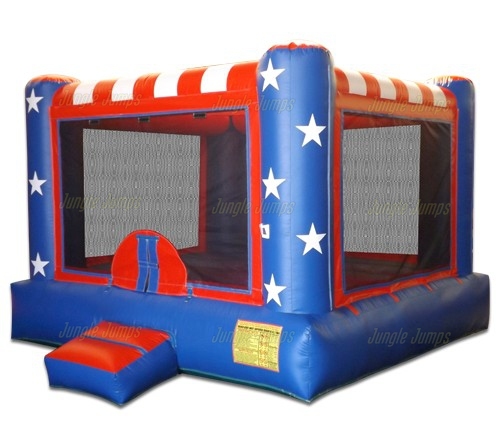 In order to barter all you need to do is figure out who you would like to advertise with, and then contact them to see if they would have any needs of having a bounce house in the near future. This is a great way to get advertising without actually having to spend any of your money. At one point in time or another you will stop to think about what you can do to enhance the sales for your inflatable moonwalk business. Now, there are number of things that you can do you if you’re looking to increase your profit margin, but one thing you might not be thinking about our promotional opportunities that you may be inadvertently passing by. But what are promotional opportunities and how can you take advantage of them? Promotional opportunities are situations in which you will be able to get your business’s name out to a large number of the public. For example, if your inflatable moonwalk was sitting front and center of a large shopping center, and you had your businesses name on a large banner on the inflatable moonwalk, that would be a promotional opportunity. It is a promotional opportunity because your businesses name is being put a location where a large number of members of the public are going to be able to view it, thus adding to the possibility of increasing your revenue. The good thing about promotional opportunities is that they can be a very quick way to get additional business. The bad thing about promotional opportunities is that they can be a very quick way to get additional business. How is this both a good and a bad thing? It is good because it can increase the amount of rentals for your inflatable moonwalk business, which can definitely put more money in your wallet. Promotional opportunities can be a bad thing if you are not ready for them. Far too often business owners put themselves in the position where they may wind up getting a huge amount of attention, often assuming that they will not be getting any attention, only to wind up getting so much business that they are unable to maintain a good quality of customer service. This can wind up backfiring as you can not only lose new customers but you may even lose current customers as well. When it comes to having a inflatable moonwalk business and taking advantage of promotional opportunities, we feel that it is a positive thing but only if you are ready for them. Make sure you’re prepared to handle a huge amount of rentals just in case you are promotional opportunity dishes you up a large number of new clients. After some time you will find that your moonwalk business will seem to hit a plateau. While business may grow rapidly at first, it is likely that it will start to slow down after time, and while you may be making a good deal of money, you may not be reaching the full potential of your business. Once you’ve reached a plateau it is your responsibility to decide if you want to settle with your business or if you want it to grow to greater heights, and one great way to do that is with discounts and promotions. In today’s coupon savvy world people are looking for deals now more than ever. There are even television shows that are all about collecting and utilizing coupons in order to save yourself a great deal of money. People know that if a company is offering any sort of coupon or promotion it is because they want to introduce new customers to their business, but they also know that they want to get a great deal, and in order to do that you will need to make sure that you do truly offer them a great promotion and deal. So how can you offer a good promotion for your moonwalk business without losing money? First figure out exactly how much money you need to make in order to truly earn a profit. While the profit that you earn may not be a large one, it should be enough to keep you comfortable, as well as enough to make it seem as though your product is deeply discounted. You could also offer a promotion instead of a discount. For instance if someone were to refer a rental to you, the referrer would get a rental at 50% off. This is a great way to provide your existing customers with a treat as well as to get new clients. There are many different ways that you can use coupons and promotions to build your moonwalk business, but make sure that you only take on as much as you can handle. Many businesses who use online promotional tools, such as Woot, often find that they have taken on too much and are unable to fulfill their obligations. Make sure that this is not something that you fall into. So you’ve decided to start a bounce house business – congratulations! You’ve set aside enough money to buy three different moonwalks and you’re all set when it comes to insurance and a business plan. You’ve got your advertising plan in mind and you’ve already printed out a bunch of business cards – but there may be one thing that you’ve forgotten: how are you going to transport your inflatables? You would be surprised how many people forget about transporting, and storing, inflatables until they have already purchased the units, and many times they don’t have enough money left to purchase any sort of transportation. 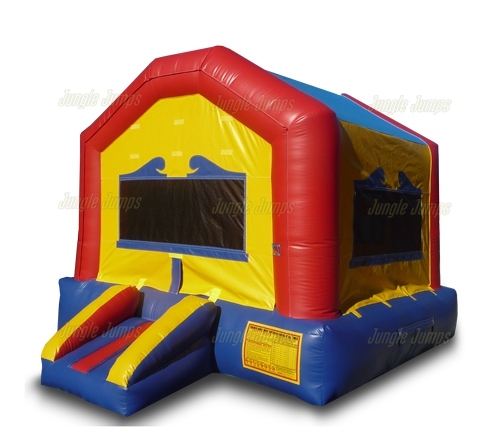 The first thing you’ll need to think about is how you’re going to get your bounce house to the party location. If you’re just trying to take one unit you can likely fit it in the back of a truck with a full sized bed. But then what happens if you have to transport two at a time, and how are you going to store your units, as this is also very important. The moonwalks need to stay safe and dry and in a location where animals are not going to be able to get to them. One of the best ideas for someone who is just starting out is to purchase a small enclosed trailer – much like the ones that you’ll find outside of a U-Haul building. These small enclosed trailers are generally large enough to hold a number of units and are actually very easy to haul around. You can even haul one with a car, possibly saving you thousands of dollars. Simply have a trailer hitch installed on your vehicle and you’ll be all set and ready to deliver moonwalks to your clients. But where can you find one that doesn’t cost a huge amount of money? For the best bet go with a used storage trailer. These trailers you’ll often find on online trading websites that are local to you, and you may be able to purchase one from a company such as U-Haul, as they regularly sell their older trailers in order to make room for new ones. Trailers are also the best option simply because you can lock up your moonwalks in the trailer and can rest comfortably at night knowing that no animals, or moisture, will be able to get into your bounce houses.